Show your hidden patriotism with the help of tattoos. This is 9/11 US-flag memorial tattoo made by Karel Mato. The tattoo inked on the left-back shoulder. This is one of the world famous tattoos’. 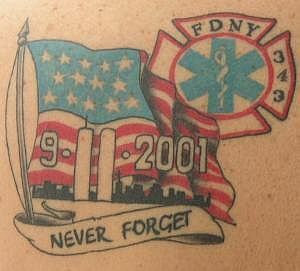 This tattoo will never let you forget the tragedy of 9.11.2001.